Like all of our instruments, the Goth Thunderbird-IV comes with our Limited Lifetime Warranty and Gibson 24/7/365 customer service. Visit your Authorized Epiphone Dealer today and get back to a new future soar with a Thunderbird Pro from our bass collection. The Goth Thunderbird-IV features mahogany body wings and a solid, bolt-on Hard maple neck for amazing sustain and tone. The Thunderbird’s SlimTaper™ profile neck has a 34” scale length, a 12” fretboard radius, and 20 medium jumbo nickel/silver alloy frets. The nut width is 1.73” for great string spacing and the body is finished in Pitch Black (PB). 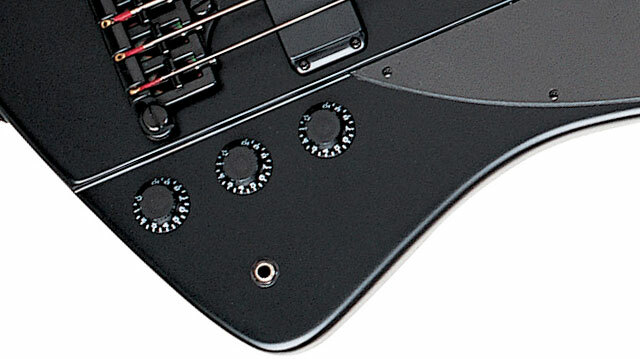 The Goth Thunderbird-IV features Epiphone's new Thunderbird humbucker pickups, which have proven to be one of the most versatile pickups for bassists on stage and in the studio. 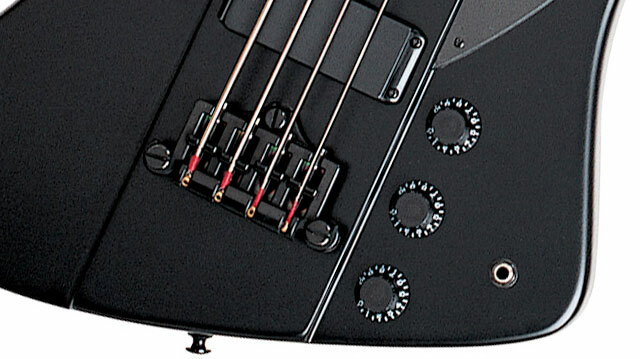 Epiphone hardware is the envy of the industry and the Thunderbird Pro features premium die-cast 17:1 bass machine heads, a 3 point full adjustable bridge, full function volume knobs and a master tone knob using full-size 500K O potentiometers, black hardware and a vintage style white pickguard with Goth cross logo.